This is living! 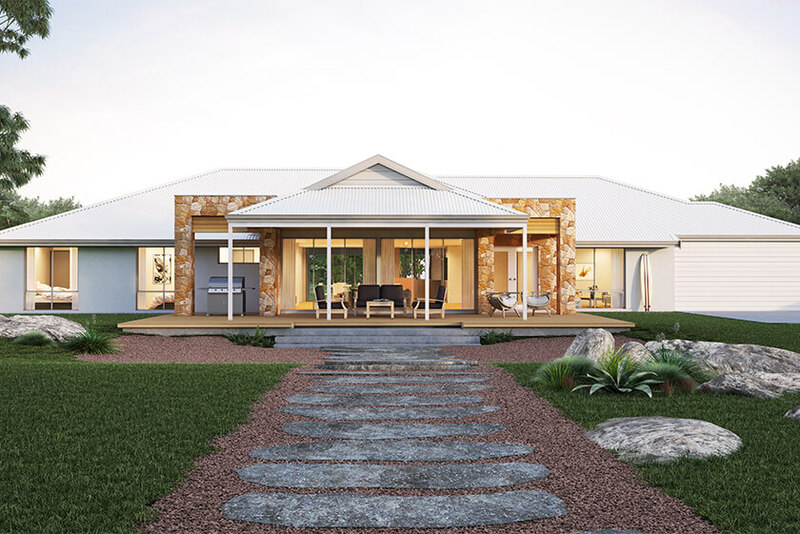 The Magnolia is a big family home designed for comfort and a relaxed indoor-outdoor lifestyle. At the heart of the home are big dining and living spaces that flow seamlessly outdoors to two outdoor living areas, providing plenty of options for alfresco entertaining or just chilling out and enjoying your new environment. Families of every size are looked after, with a kids’ wing that includes three generous bedrooms and a bathroom, plus a fifth bedroom or study, along with a games or TV area. 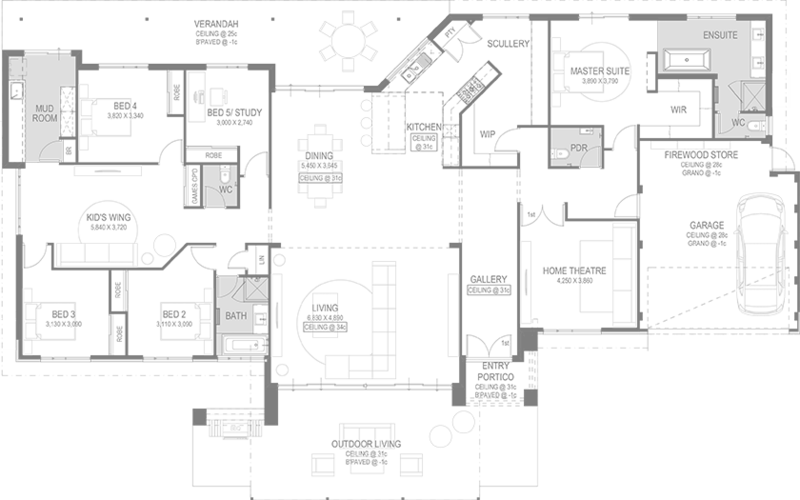 The master suite has a huge walk-in robe and an ensuite with a bath, and there’s a handy powder room for extra convenience near the home theatre. And what home chef wouldn’t fall in love with the big open-plan country kitchen, complete with a big breakfast bar, scullery and walk-in pantry.